Far Cry 3 is turning out to be a really interesting gaming experience, and I know having talked on Twitter and Facebook, many of us are sharing the same joy and pain of this massive free roaming jungle shoot/drive/fly/hunt/swear/avengeathon. Like most free roamers it starts with some training, in this case it involves sneaking around and escaping to try and induce a little bit of tension and panic. This is interesting in that you start off panicked and wanting to avenge the death of your brother by the bad guys. He seemingly was a soldier, and you as a main character are not. However within minutes of the starting scenes you are armed and off dealing with things and attempting to rescue your friends who are now hostages. Of course at this point you are no longer so restricted by the tutorial as this is a free roaming environment you can do what you want to your own level of competence. You also have to be a maker, gathering the flora and fauna to craft new holsters to carry more weapons, and a bigger satchel to carry more… flora and fauna and even have to make yourself a bigger wallet to carry all the cash you are making from the various trinkets. The map of the massive tropical island is locked, though unlike some free roamers that does not stop you moving around anywhere. To unlock the map view of a sector you have to scale a massive radio tower and flick a switch. Yes this is a little like Assassin’s Creed eagle points and yes this game is published by the same people :). The climbing is a little bit clunky and difficult as this is a first person view but there is something fascinating about ascending these towers. It manages to induce a wonderful sense of vertigo once you get to the top. The still pictures just don’t do the effect justice. There is a great sense of height both from the visuals and the fact that you have struggled up quite a few platforms to get to the top so you know you are up in the air. However it is the alteration of the camera, your eyeline view that gives the most wobbly feelings. The camera makes you sway, your hands move a little as if balancing and it all tips a little. It is also combined with a wind effect that seems to tie in nicely. The whole tower feels and sounds as if it is fragile and flexing in the wind and taking you with it. I have not really experience that sort of gaming vertigo even in the massive heights of Just Cause 2 and Crackdown (probably due to those being 3rd person views). The last time I played a game and felt that tingle in my legs from height was in the original Tomb Raider on the Sega Saturn. Climbing up and and some very wobbly platforms feeling on the brink of falling all the time (even though that was 3rd person too). 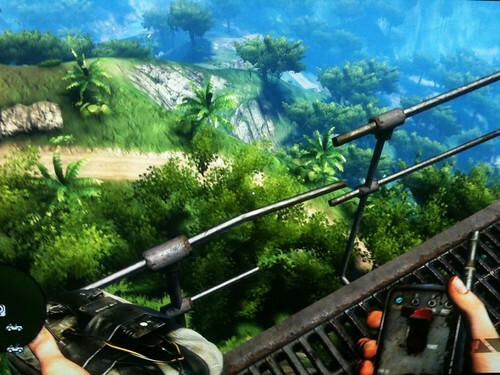 One of the great joys of Far Cry 3 is the ability to really choose how you are going to take down an enemy outpost. Outposts make the map glow red and mean enemy patrols will find you wandering around as picking flowers and shoot at you. Taking an outpost makes it rebel territory and a bit safer. It gives you a locker to refresh all your ammo and a fast travel point in case you don’t want to drive around for hours. An outpost has alarms, if they get triggered you will find you get a stack of pirates descending on you. So you have a choice. You can sneak in and disable the alarm before then dealing with the occupants, or you try and deal with them all really quickly before they can sound the alarm. Other options do present themselves. Sometimes the guards are more gung ho and if you create a disturbance outside they will come charging out at you rather than hitting and alarm. This makes for some great “rambo’ moments as you set traps and mines whilst picking off each aggressor. (Yes this is an 18 rated game BTW!) However it is not so much the violence that marks it 18 but the plot and the language. Even the loading screen occasionally pops up the F word (not Flora or Fauna!). As you sneak up on guards they are usually telling their mates of their displeasure with their lot in no uncertain terms. There is also an air of malice in the air, which you often forget if you are doing the side tasks and exploring, but as with all free roamers you have to get involved in the main missions to progress properly. If the pirates and brigands were not enough of a threat though the island is teaming with wildlife they are very wild and seem to want to take your life. Tigers, panthers and bears are an obvious danger. You hear a roar and then get ready, but the ones that were the most surprisingly aggressive and have ripped me apart the most are the chickens. Technically they are not chickens they are in fact Cassowary big ostrich/emu like things. There you are sneaking quietly through the undergrowth to an outpost and squawk, squawk, rip, rip…dead. Luckily the same doesn’t happen with the giant tortoise though which seems to be the only thing that doesn’t was to kill you. You can craft things to make wildlife leave you alone for a bit but the tension of suddenly getting attacked, or having to keep an eye out for such things makes the jungle feel more random and dangerous. So it is annoying, but in a good way. I still have quite a way to go on this game, but as its a free roamer the joy of just going for a drive or a stroll, picking a mini task to complete makes it very playable. Sometimes starting a mission can be a worry in case it sidelines you away into a must do piece of not so free roaming action, but that is again part of the fun. You get to appreciate the freedom more when it is taken away occasionally. Disney have now picked up on the technology with Disney Infinity. The official trailer shows a lot of game play with a few references to it’s version of the portal of power and the range of figures. It’s all very exciting stuff ! 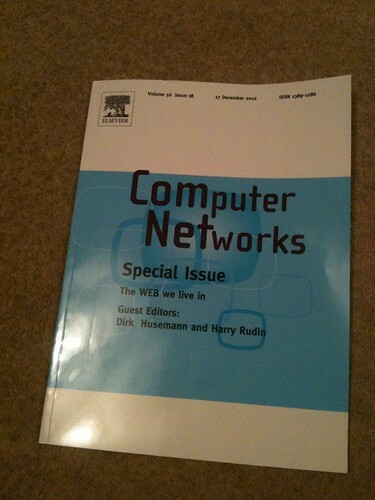 My physical copy of the Computer Networks journal that contained my first academic paper arrived through the post. I am not sure if this is unusual for an academic paper but I managed to get all my favourite subjects in, virtual worlds, 3d printing and even Skylanders gets a mention. I was lucky enough to get 4 great xbox games for Christmas this (I mean last) year. They were on my wish list as I had not got around to some of them in the whirlwind of 2012. The games were Halo 4, Far Cry 3, Need for Speed : Most Wanted and Forza Horizons. So at face value and in the “let classify everything into a genre” categories there are two first person shooters and two driving games. They are however very different. To a non gamer (assuming there are any left) it may seem like duplication if things are resolved to being “just a game” and not a complete experience. 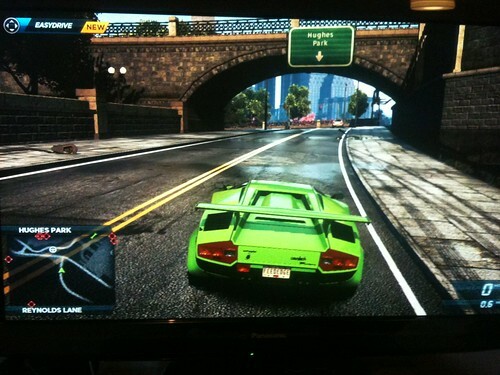 It is a free roaming driving game and a follow up to Forza 4 where up to now all the Forza games have been track based. It has given a different feel and a background story to the reason you are collecting fast cars and razzing them around some fantastic Colorado scenery. Forza has always had very convincing physics models for the cars and this is greatly enhanced with a force feedback steering wheel. The wheel also makes life more interesting in making manual gear changes feel right. Driving around the cars feel big and substantial when you slide or drift you feel you are probably on the edge of something bad about to happen so you try and drive just right (at least with the steering wheel). It is actually just nice to drive around the huge area in your favourite car listening to some tunes. Having oncoming traffic and other road users makes it a bit more tricky to go flat out without wrecking. It feels like driving and racing. For me it makes drags me into a reality. I am sure you can sit back and play it like bumper cars but that does it a dis-service. Need For Speed : Most Wanted on the other hand is a free roaming driving game that instills a very different yet equally enjoyable feeling. in NFS you go flat out most of the time, skitting around cars, performing drifts to earn crazy nitrous boost flicking in and out of traffic working on pure reactions. Pretty much every bit of driving has you diving left, right left, thinking yes I am in the zone, then kaboom a massive crash with sparks and shards and physics engine components working over time. Recompose yourself and then blast off again. It is a game where you look for unusual ramps and signs and work out how to get to crash through them like a hollywood stuntman. It is of course really just Burnout Paradise II but as that was such a fun and amazing fast experience thats no bad thing. I do remember the original Need For Speed games way back that were actually more like Forza in their realism. It was the first game I remember hearing the thud thud of running of the cats eyes as you crossed the white line in the centre of the road to overtake a slow moving car whilst being chased by the police. Now we have the police chases but it is not one or two cars but an army of them like Blues Brothers or Smokey and the Bandit. So they are both very different experiences, invoking very different emotional responses. Of course if you don’t like cars they probably will invoke the same eye rolling not again response. There is one similarity though that is a bad attribute. That is the way having bought the game you are constantly bombarded in game with the opportunities to buy new DLC (downloadable content). Clearly with cars and car models wanting to collect more makes sense to a fan. However Forza on its main menu has an option for Horizon Rally, this makes it look like it is part of the game, but click it and it guides you to buy quite a pricey extra add on. 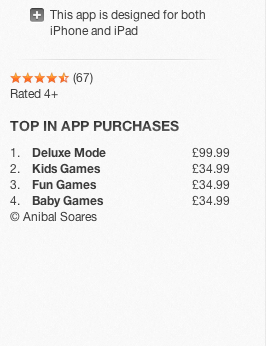 It’s another £14 and is already there. It is worse in NFS though. As you drive around you discover new cars to drive, that is part of the game mechanic, however sometimes you arrive at a car and there it is, the model is already in your game sat there but it then says you can go and buy this form the shop to unlock it. Both these tactics are annoying, they probably work a little but it seems that the concepts of freemium are being applied to things that are already full price. That’s not really very fair. When predlet 2.0 plays NFS which he loves he is playing on his own non xbox live account. i.e. he is not connected to the shop. Playing NFS he still sees these cars so he is being shown something in game that he can never really attain. I know these things cost a lot of money, I do buy DLC to extend games but it seems just a little bit shabby when the rest of the experience is so much fun. On a positive note both games use Kinect voice recognition to let you engage with menu’s whilst driving though it does seem a little bit sensitive when other people are in the room talking and it triggers thinking you have said “rear view”… crash…. Also Horizon has a Smartglass application with it which means on my iphone (or on another tablet) you can get the GPS map up on the phone whilst driving around in the car. This second screen type of experience is becoming more popular and accessible. It will be interesting to see where it goes. Happy new year one and all 🙂 it’s 2013 and the human race and the planet have not been Mayaned out of existence so we can once again look into the future. One way is to dive into Kickstarter and crowdfund some interesting projects. If you haven’t looked at this before it is pretty much the same as pre-buying something you are interested in, though you are actually providing the funds to help a project that you think will work or has some merit. 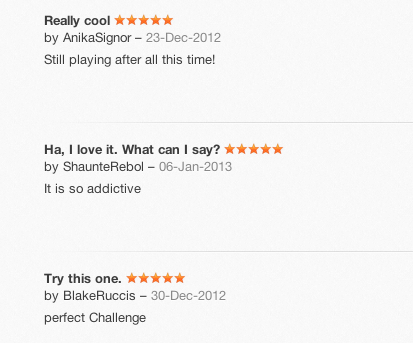 One such project is Elite:Dangerous. Which if you are like me you grew up playing the free roaming ever changing vector based space game Elite. It is due a reboot and David Braben has got a Kickstarter campaign going. With these sorts of things you set a reserve price, the amount of money needed/pledged. If you don’t get the target the project doesn’t get the money. Once you have pledged an interesting dynamic of wanting to be right kicks in. If it doesn’t get funded you haven’t lost anything but if you pick a project you feel part of it. This of course works better in small community ones, once you get up to this sort of level it is really a variation on a corporate machine. However…. This game needs to get funded so if you haven’t then go pledge something for the future. It is going to take a years of development at least with a 2014 release. Who knows I might even try a kickstarter myself this year. We have some code and a working prototype, finding regular finance for something that is scientifically intriguing, socially intriguing and pushes social media and social games somewhere else is proving tricky, so what the heck. Come to think of it some of the TV shows should get done this way. It’s a good way to prove an audience, hone your message.